A comprehensive dry eye evaluation will allow our Doctor to determine the best treatment regimen for each patient’s individual condition. 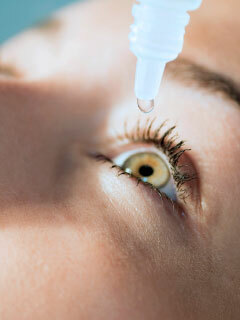 Not all dry eyes are the same, nor is the treatment. This requires a comprehensive dry eye evaluation in order to assure long term eye health, clear all day eyesight, and all day comfort. This is why our Doctor performs specific tests to determine the various forms of dry eye and tear film abnormalities, and to identify potential treatment strategies. Careful clinical observation, accurate diagnosis, and appropriate intervention can eliminate or minimize the deleterious effects of ocular surface disease and dry eye on the quality of life. Contact Eye-Q-Vision at 815.756.4244 and schedule your eye exam today!